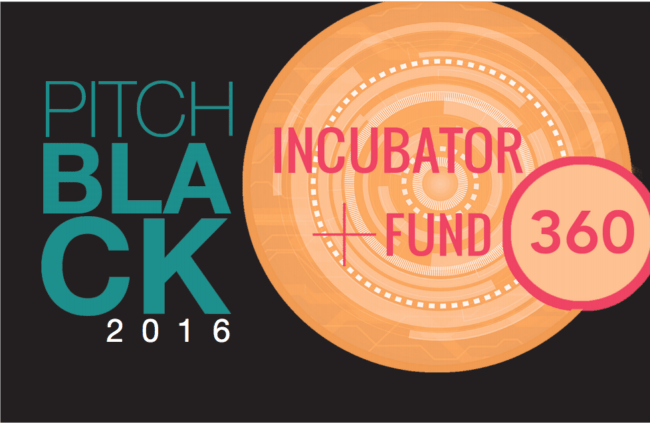 On Thursday, April 11, 2019, ten producing teams will take to the stage at the third annual PitchBLACK interactive pitching session, a spirited battle of content creators vying for up to $150,000 in funding. The event is part of Black Public Media’s 13-week 360 Incubator+ for broadcast programs, web series and virtual reality projects, a program designed to identify and pipeline quality black content. The PitchBLACK forum, hosted by veteran producer Sandra Rattley, will be held Thursday in NYC. Winners will be announced at an awards ceremony on Friday, April 12. Based in Harlem, Black Public Media (BPM) is the nation’s only nonprofit dedicated solely to media content about the black experience. Its 360 Incubator+ hones the skills of experienced producers and filmmakers — and their projects. Since mid-January, the participants, or 360 Fellows, have been working intensively under the guidance of mentors in preparation for PitchBLACK, a high-stakes pitching session in front of industry professionals. The six projects competing for a license agreement for public media distribution and funding ranging from $50,000 to $150,000 include the broadcast projects The 3,000 Project by Keith McQuirter and LaNora Williams-Clark (mentor Chris Hastings), Changing State by Leola Calzolai-Stewart and Kiley Kraskouskas (mentor Sonia Gonzalez-Martinez); The House I Never Knew by Randall Dottin (mentor Byron Hurt); Commuted by Nailah Jefferson (mentor Yoruba Richen); Listen to My Heartbeat by Nyjia July (mentor Sabrina Schmidt Gordon) and A Love Supreme: Black, Queer and Christian in the South by Katina Parker (mentor Michèle Stephenson). The two digital projects participating are A Good Man, a web short by Michael Fequiere (mentor Joe Brewster) and Heroes of Color, a web series by David Heredia (mentor Kimson Albert). Two virtual reality projects vying for engagement campaign funding of up to $100,000 are Greenwood Avenue by Ayana Baraka (mentor Rachel Falcone) and Points of View by Alton Glass and Donovan DeBoer (mentor Michael Premo). On Friday April 12, a benefit supporting the work of Black Public Media will begin at 7 p.m. Filmmakers Michèle Stephenson and Joe Brewster will receive the inaugural Trailblazer Award. The winner of the first Nonso Christian Ugbode Digital Media Fund award, will also be announced. The award is named after Ugbode, a renowned digital storyteller and BPM’s late director of digital initiative. Representatives from American Documentary Inc. / POV, the Corporation for Public Broadcasting, Ford Foundation, Foundation for a Just Society, MacArthur Foundation, Sundance Institute, Surdna Foundation, Third World Newsreel, Tribeca Film Institute and Women Make Movies will also be in attendance. BPM Executive Director Leslie Fields-Cruz and BPM Founding Executive Director Mable Haddock will also be on hand for this exciting experience. For more information on the projects, check out this look book. For more information on BPM’s 360 Incubator+ initiative, click here. For more information on Black Public Media, visit www.blackpublicmedia.org or check Twitter (@BLKPublicMedia) or Facebook (https://www.facebook.com/BlackPublicMedia). This post was curated by Nsenga K. Burton, Ph.D., founder & editor-in-chief of The Burton Wire. Follow her on Twitter @Ntellectual or @TheBurtonWire.